Arm yourself with a dab cannon and demolish multiple targets. Each target hit will earn you the targets labeled points. Only one clip per player. Try to get the mini pumpkin into the corn hole from three distances. Each player gets 4 pumpkins and can only go once. 10pts for furthest, 5 points for middle and 2 points for closest. Take hold of 4 horse shoes and try to ring them around the rod. Or take your chance blindfolded for double the points. Grab yourself a team of 4-6 and dunk large balls in the opponent’s buckets Tournament style. For each dunk, your team gets 5 points. Dunk all the buckets before the other team to win. First team to win will split 30 points. Grab a glowing ball and toss it down the lane at 10 glowing pins. The team that successfully ate the most doughnuts without dropping gets 15 pts ea. All team members in the 2nd place team will get 10 pts and 3rd will get 5 pts each. Players will line up for a traditional sack race in hemp bags. Players will hop in the sack to end of the line, hop out and fill it with five bags of “weed” get back in and hop to the finish line. 10 players per match. Winners in each race get their placement points. Players will split into 2 teams and get 2 color filled water balloons. At the end of first round any players not hit with a balloon will re-split teams and match and repeat until there are 10 players left and they will get their placement in points. Campers will team up in pairs, one player will drag the other to the line, they must then switch places and the opposite player will drag to the finish line. Each team will get their placement in points. 10 players per match. 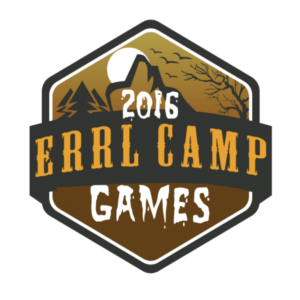 In order to compete in Errl Camp Games you must register for Errl Camp either at Camp or per-register. By registering you will be able to enter through the V.I.P. Line and not have to wait to check-in. You must do Per Check-In Registration. Registering to Get Tickets: When you register to get FREE tickets to Errl Camp you will be taken to Eventbrite Ticketing for a complete registration on their system. Early Check-In for Errl Camp: When you Per Check-In you will be filling out our registration paperwork for Camp and uploading your ID’s (MMJ Card and State ID) and the two form you must sign in order to enter Errl Camp and avoid the lines at the Day of the Event. If you have any questions please feel free to contact us and we will be able to help you in any way possible.